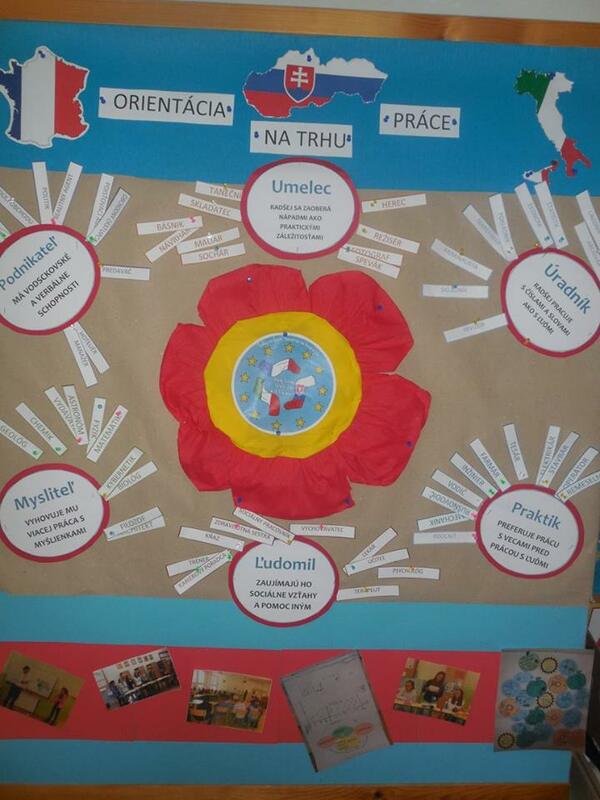 Peer learning - Orientation in the labor market - Slovakia - Site de proerasmus ! 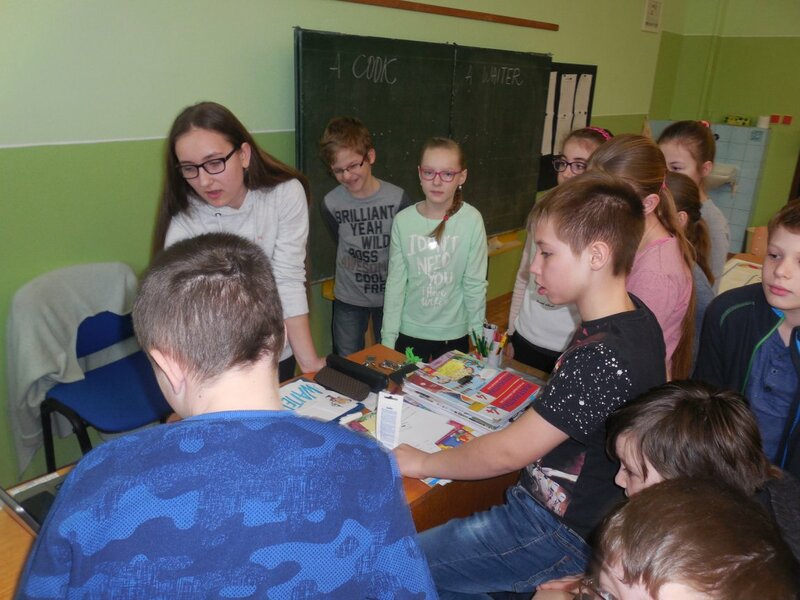 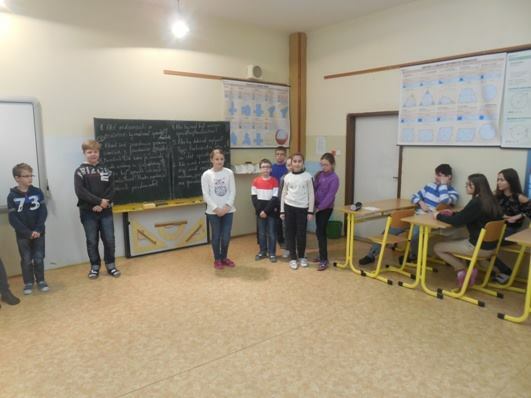 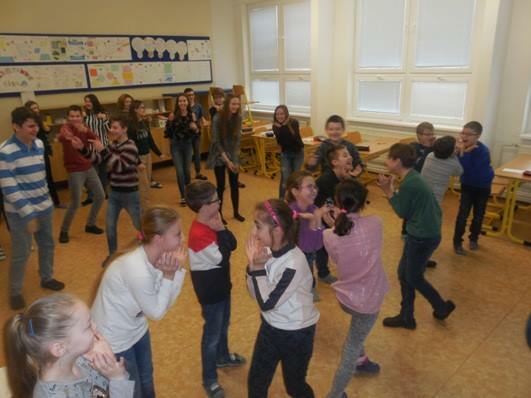 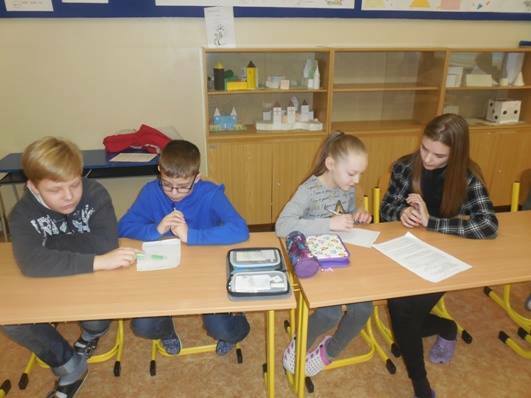 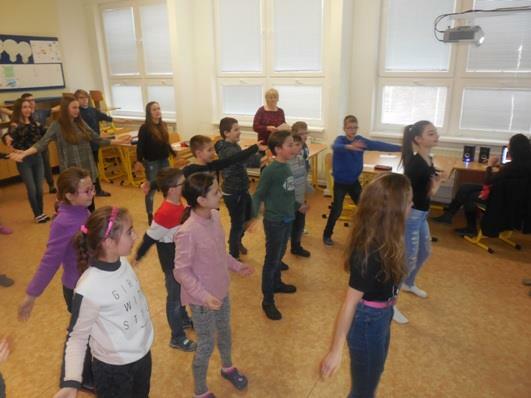 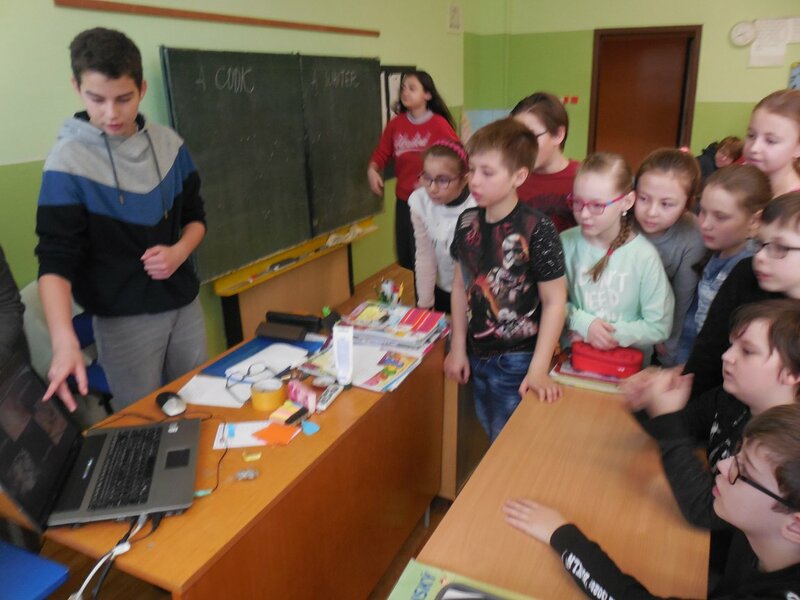 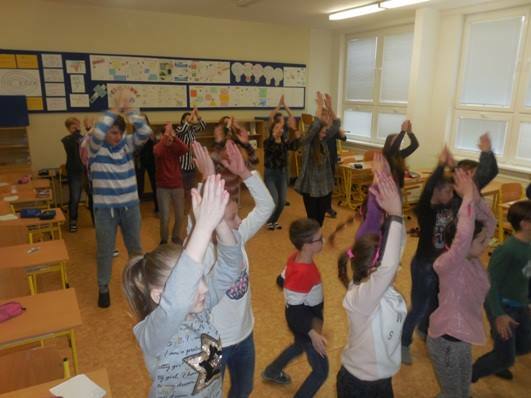 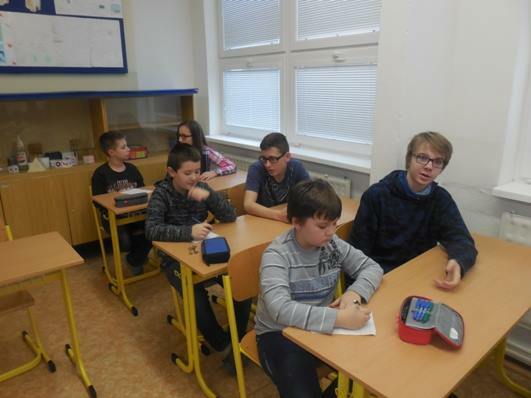 Pupils from Erasmus+ team (Slovakia) taught their younger classmates from 4th class on Friday 8th December 2017. 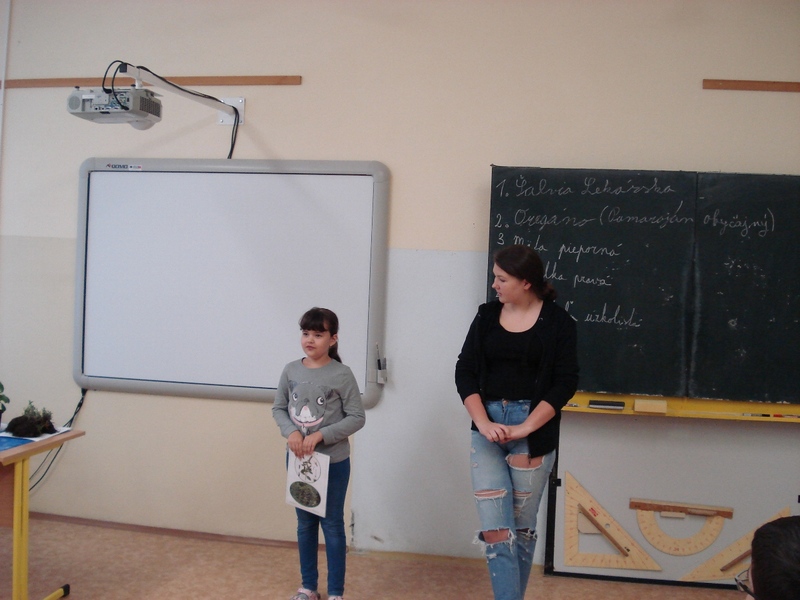 At first they provided to them the basic informations about the project Ready for My Future Job. 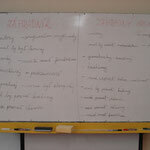 After they shared with them their knowleges from their training about Orientation in the labor market. 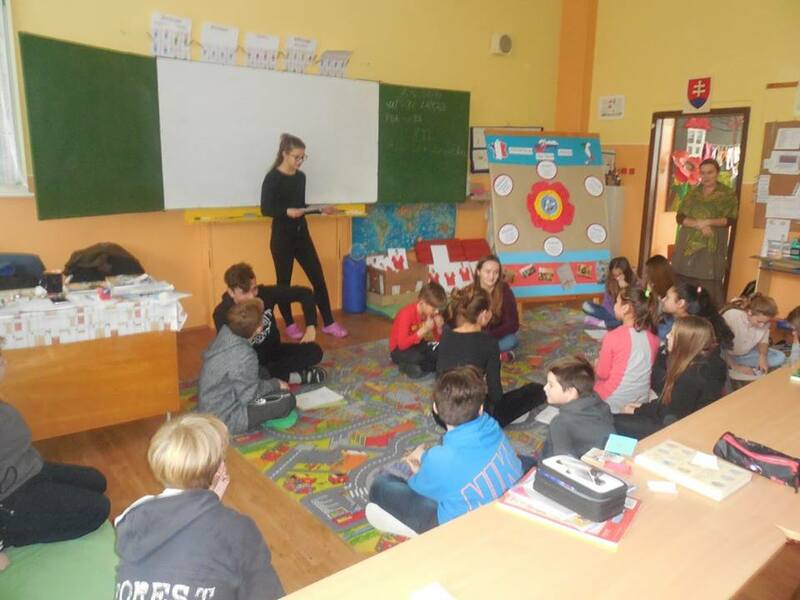 Next step was that the older pupils helped the younger pupils with the temperament test and via work in the mixed groups they explained to them 6 types of Personality according to the types of jobs - realistic, investigative, artistic, social, enterprising and conventional type. 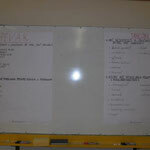 This methode we call also RIASEC. 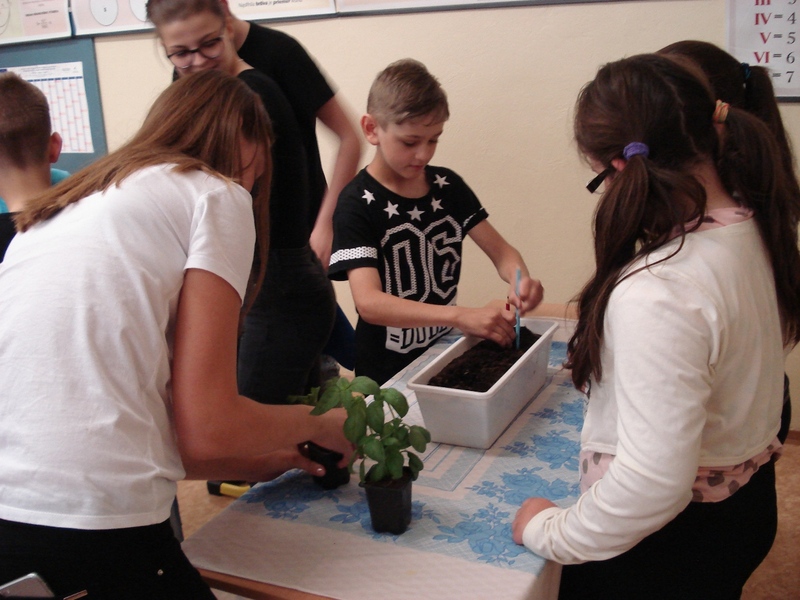 Peer learning is a part of disemination and we will continue this way via whole duration of our project. 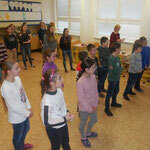 I would like to be... maybe a dancer or a singer. 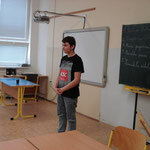 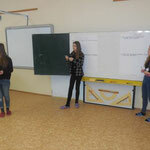 Erasmus + pupils shared their experiences about Show Jobs with pupils from 4.A. 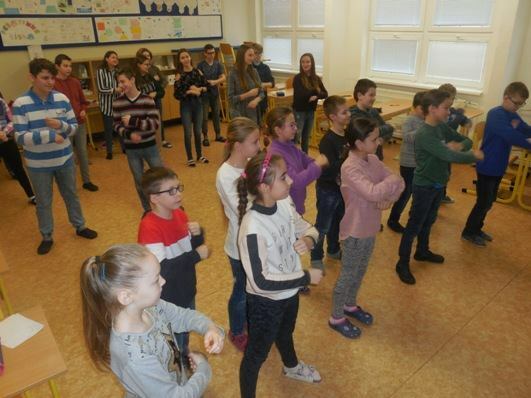 At first, they told them about the knowledge and skills which each singer and dancer have to have and finally all of them were dancing and singing together. 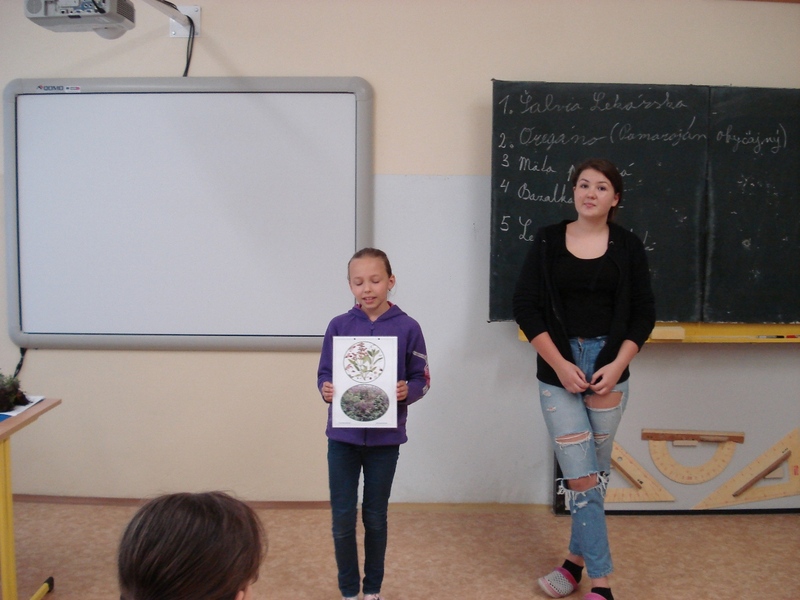 To learn something new, take part in a competition and be rewarded. 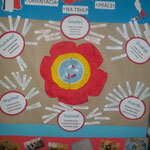 This was the aim of partnership learning in class 4A, presented by 8A pupils. 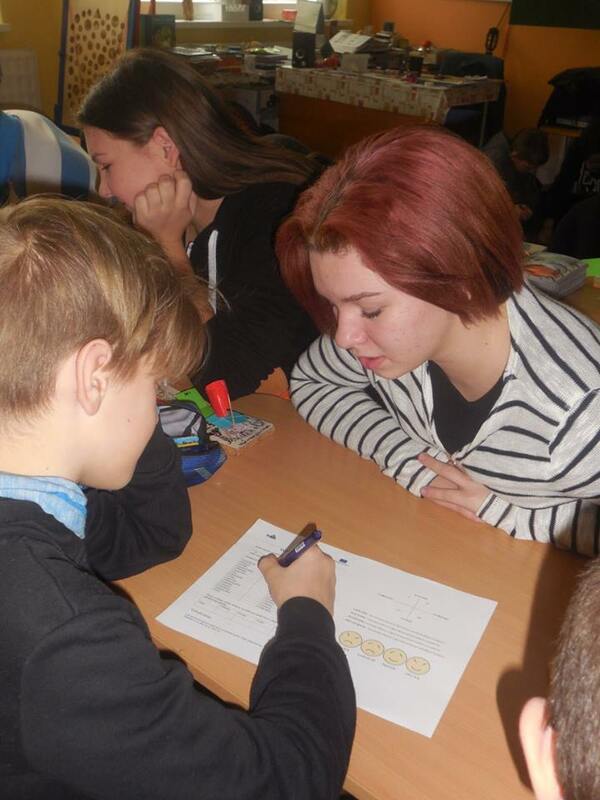 The first part of the lesson was a conversation: Ordering food at a restaurant. 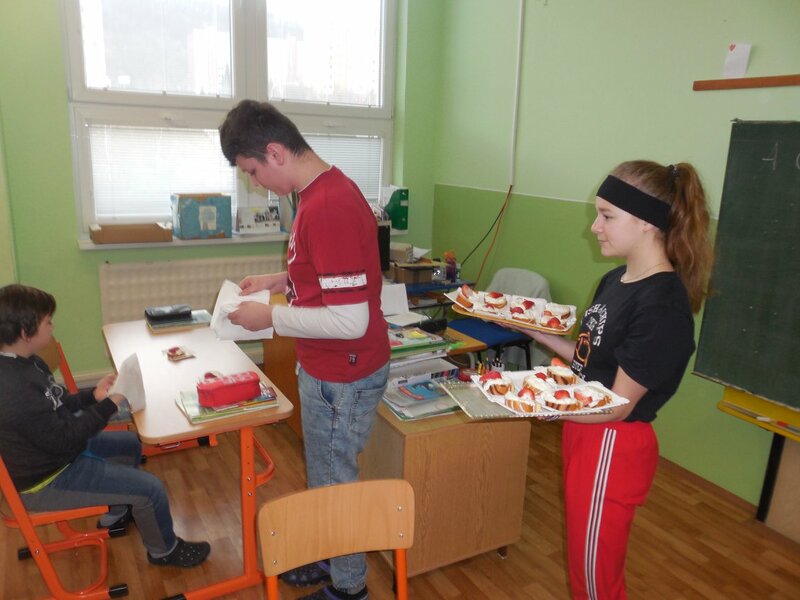 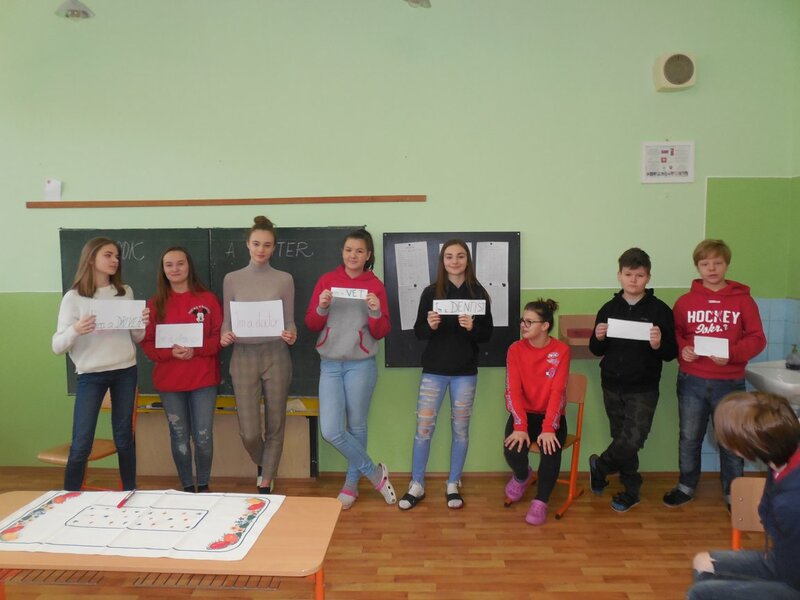 In the second part pupils prepared presentation of useful expressions and phrases that are typical for waiters and cooks. 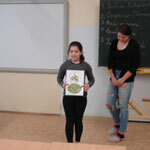 Pupils repeated these words, learned them with using pictures. 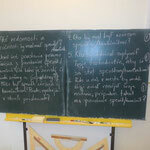 To remember them better these words and phrases are fixed on the board in the class. 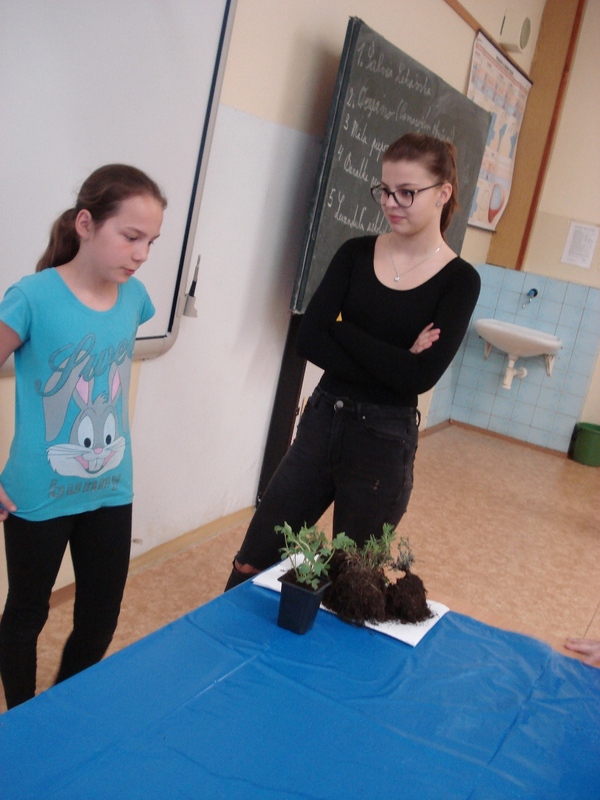 The third part was without words, pupils used „body language“ and their younger friends had to guess what job was presented. 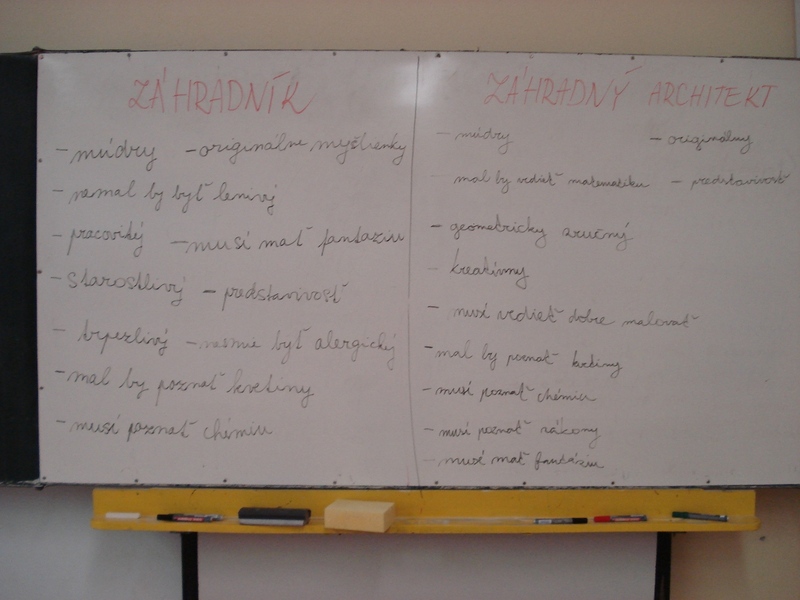 And tell it in English and learn it. 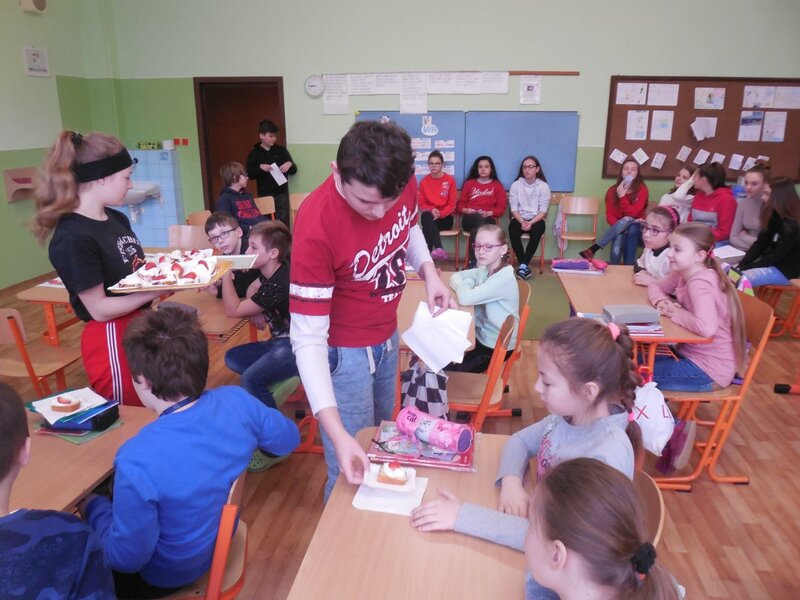 In the end they became waiters and rewarded them with a cake with creme and strawberry. 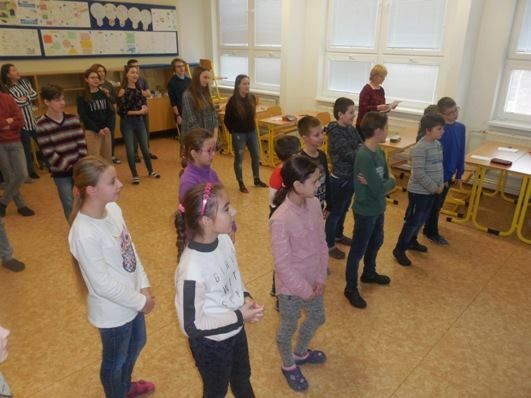 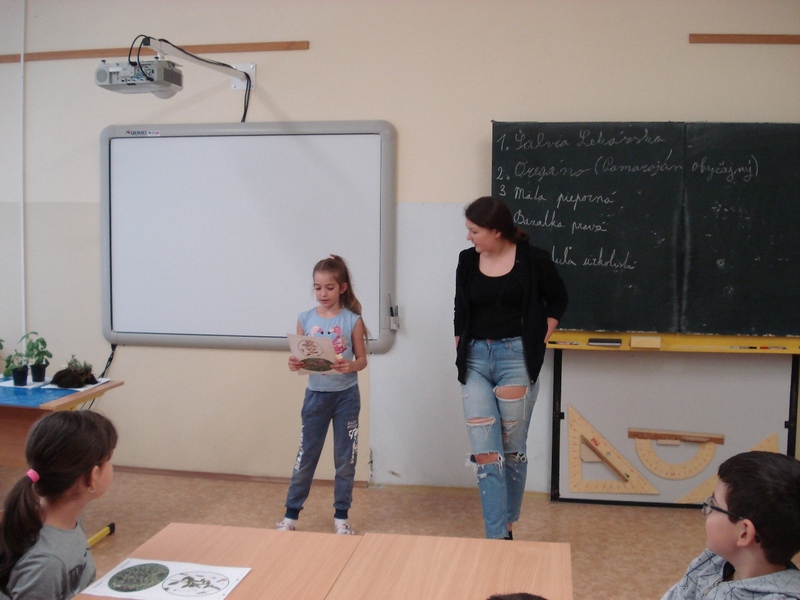 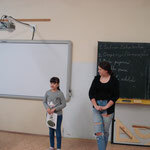 Erasmus + class pupils performed on 26th April 2018 partnership learning for 3B pupils. 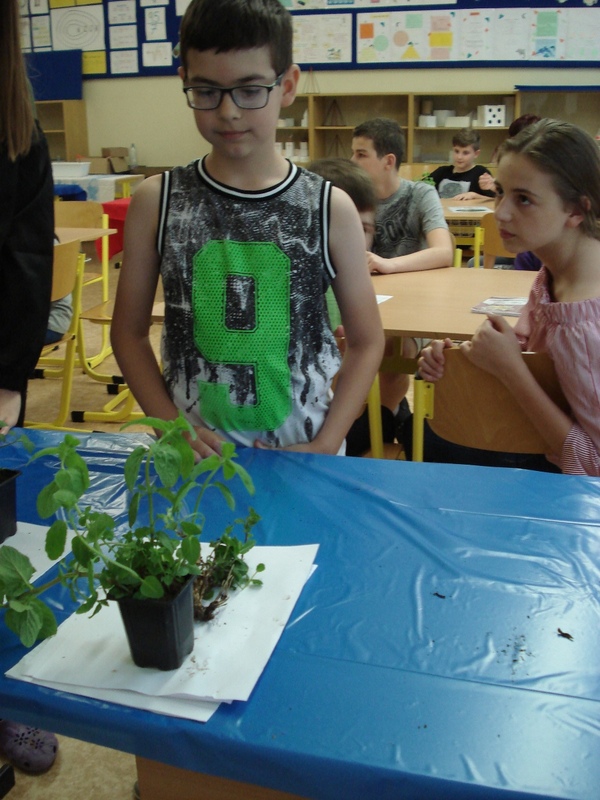 During this period the project for the 8th class pupils is aimed at agriculture and farming. 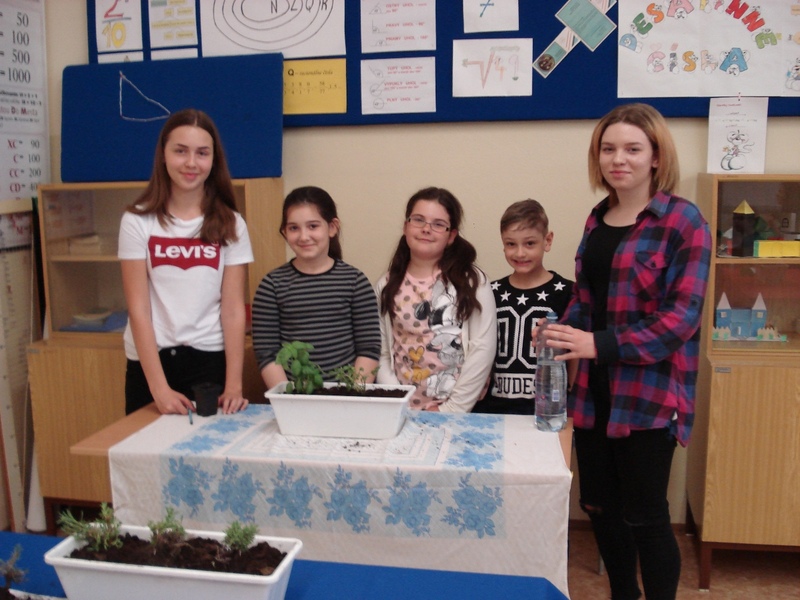 These pupils showed and described the jobs as a gardener and a garden architect. 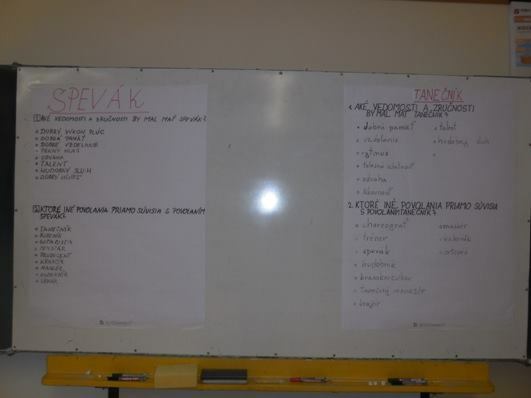 Pupils discussed about skills, abilities and knowledge that refer to these jobs in the first part of the lesson. 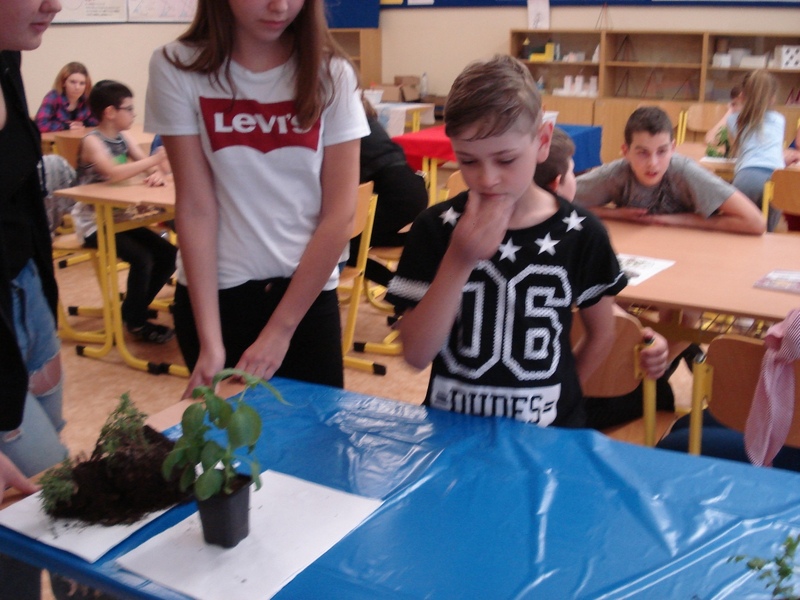 3rd class pupils were very clever. 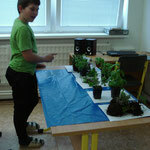 They know that a gardener shouldn´t have an allergy if he wants to perform his job reliably. 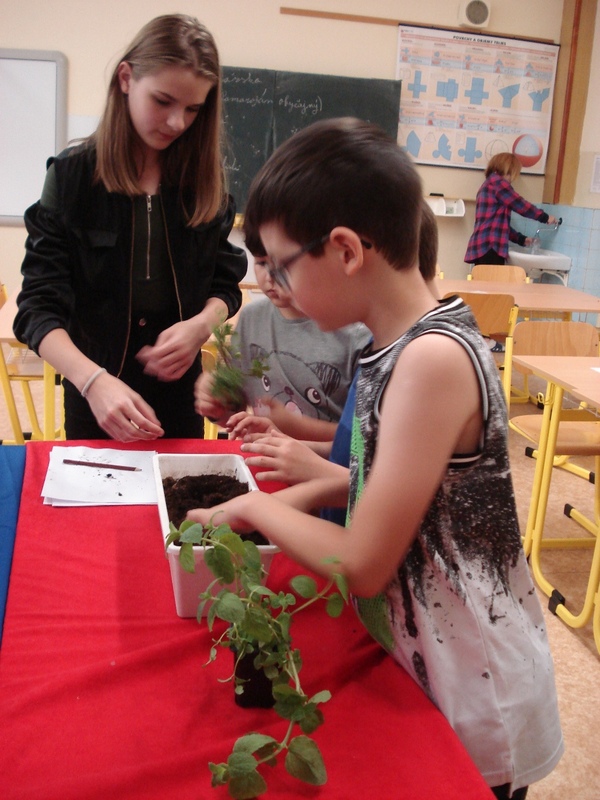 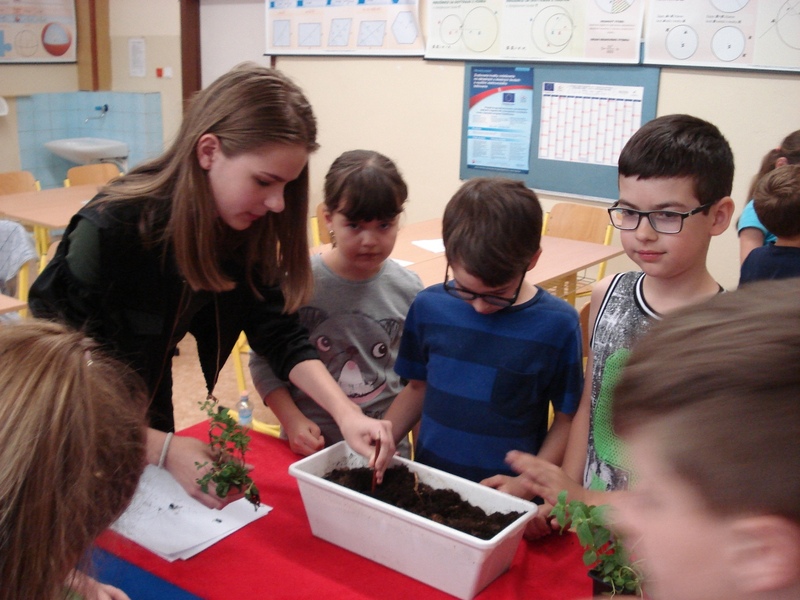 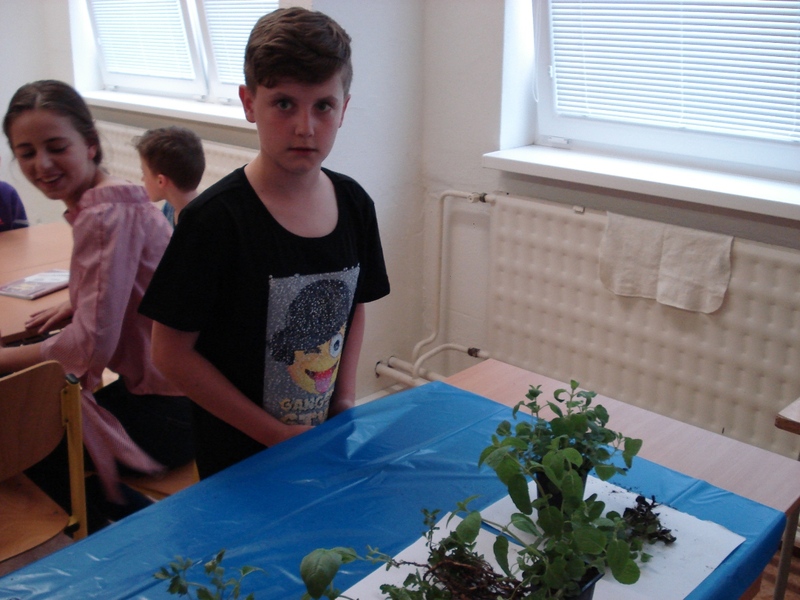 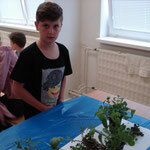 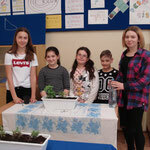 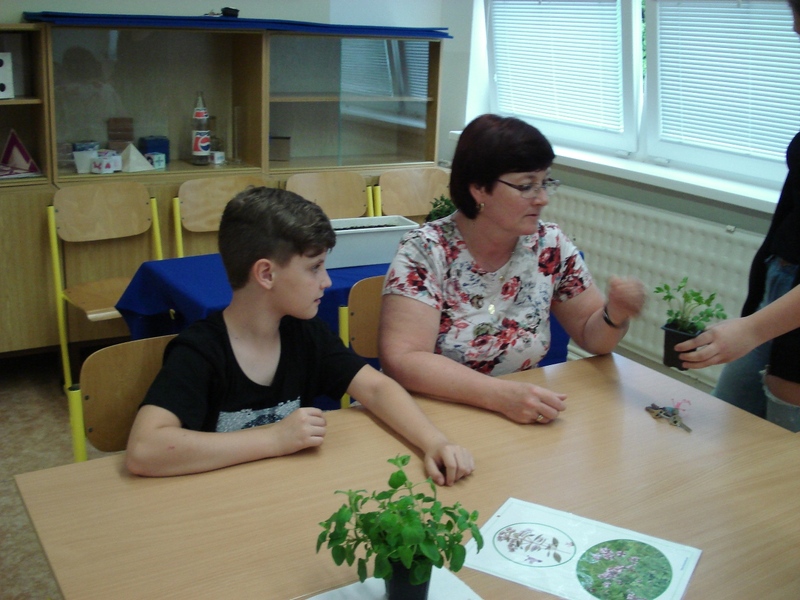 During the second part of the lesson they got to know 5 herbs – ( lavender, mint, basil, oregano, salvia)- how they look like, where they are grown, what they are used for in the kitchen. 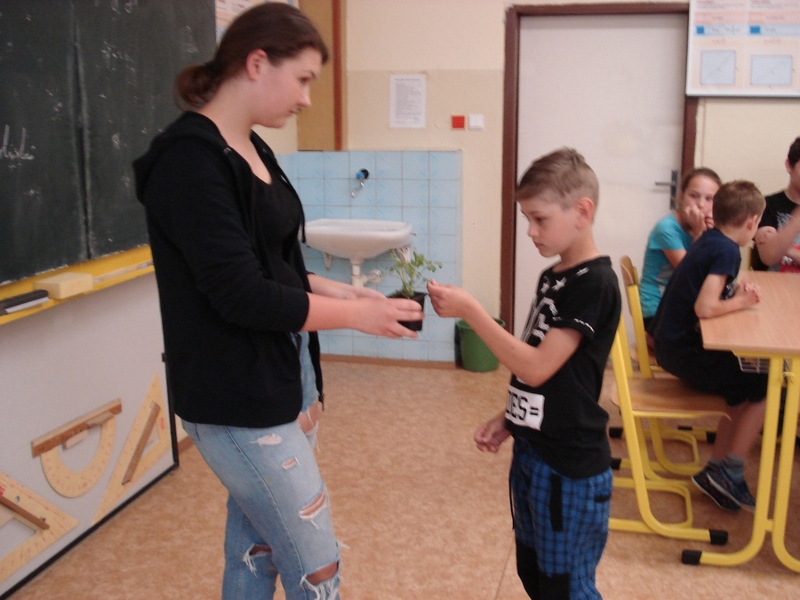 They smelt their scent to know them, as they all smelt nicely. 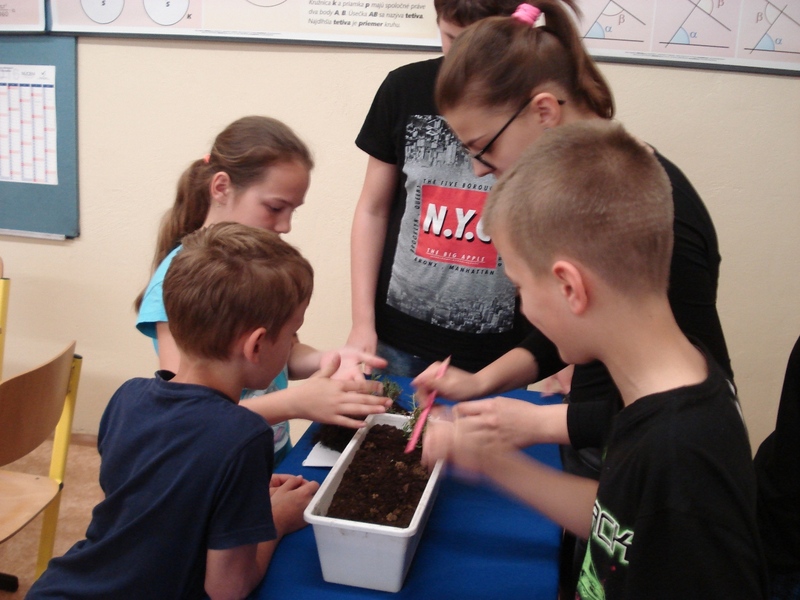 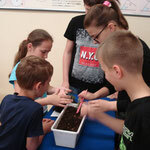 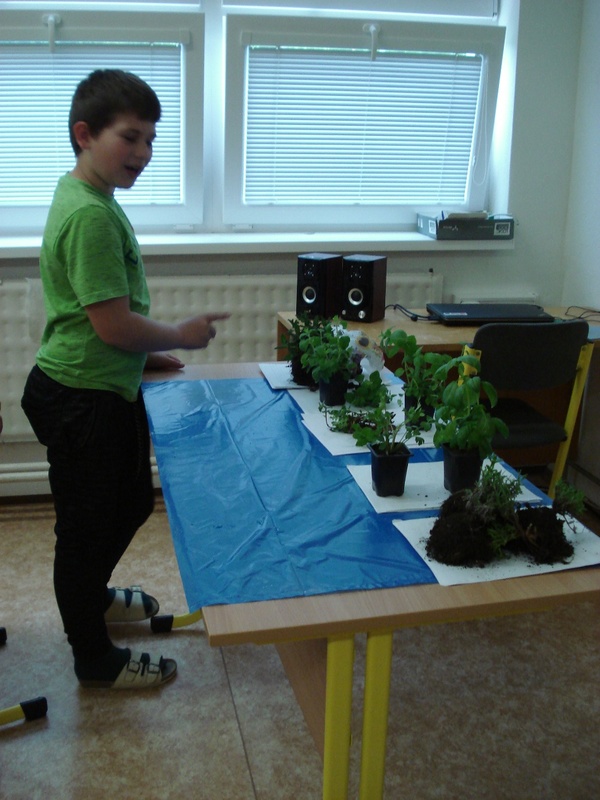 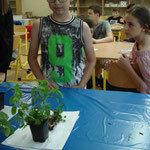 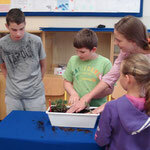 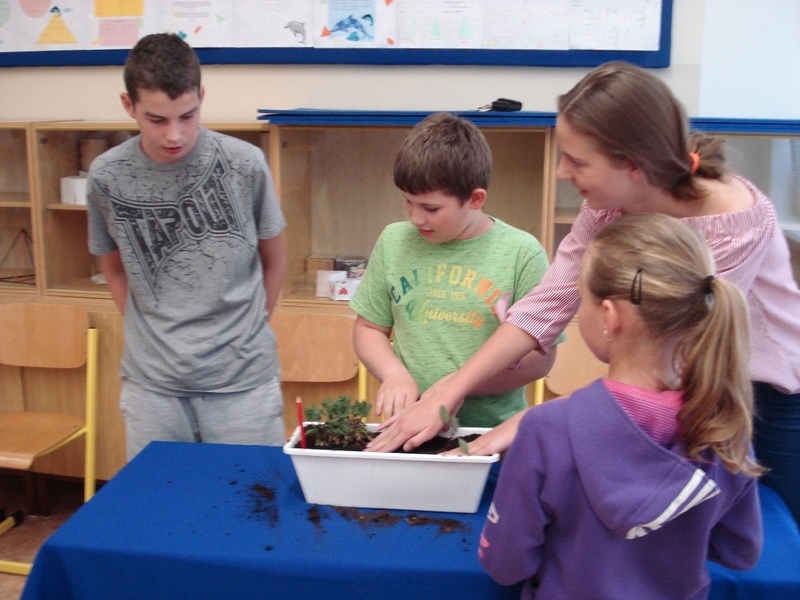 But the top of the of the lesson was planting the herbs into flower pots that made all pupils happy. 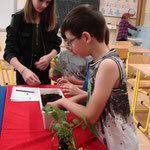 We are very pleased and happy about this partnership learning. 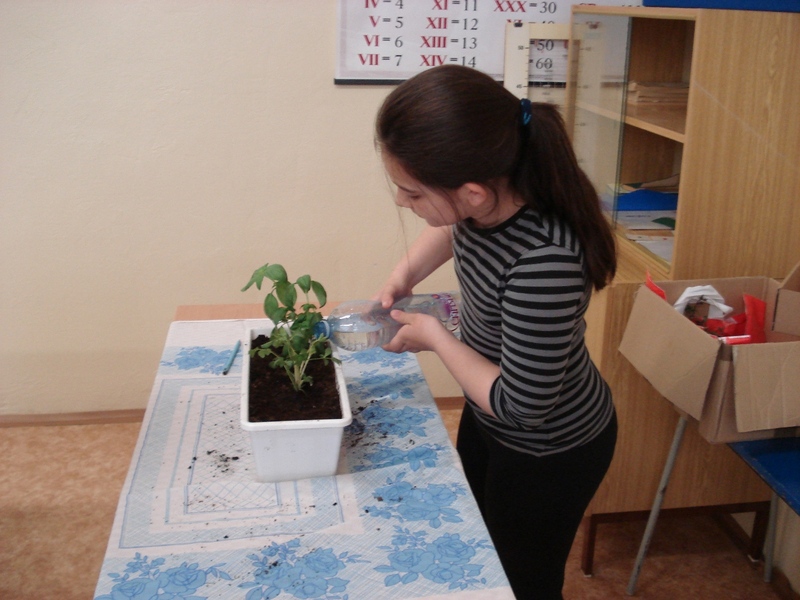 Some of the 3rd class pupils want to be gardeners. 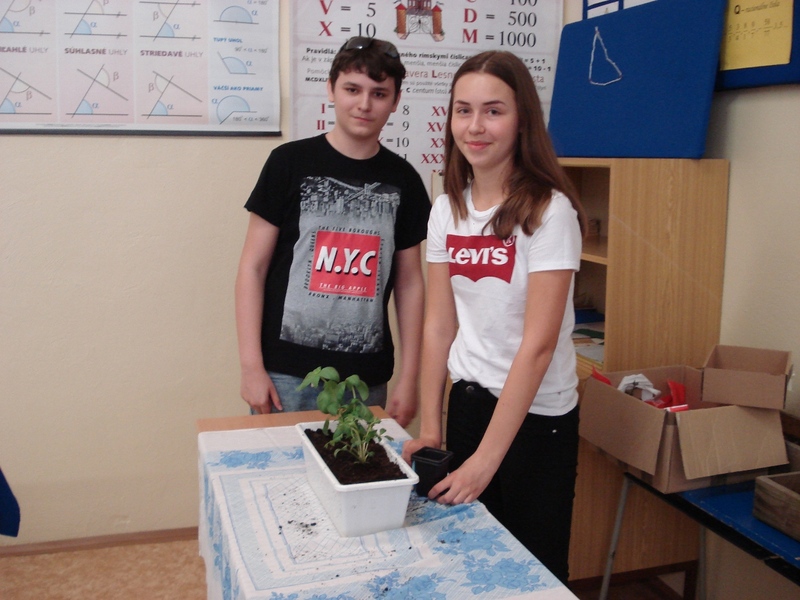 One of them wants to work outside, to share fresh air and work in the sun.